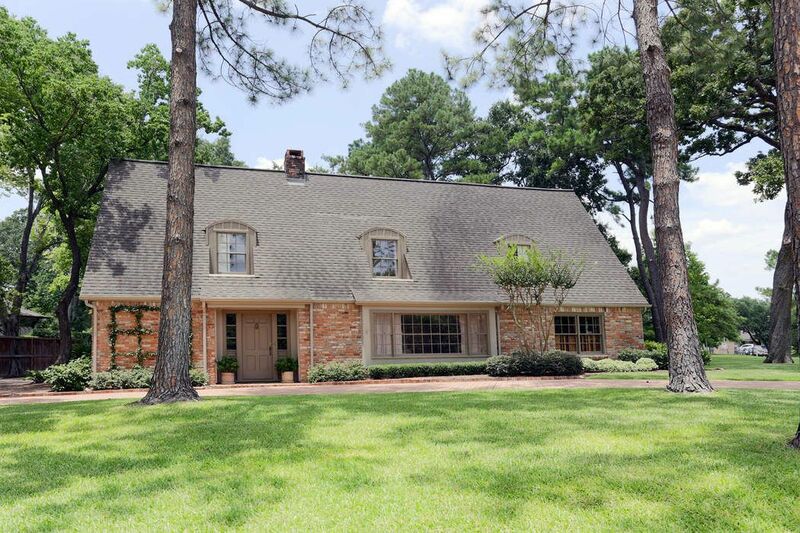 1110 River Bend Drive, Houston, TX 77063 | Martha Turner Sotheby's International Realty, Inc. Welcome to 1110 River Bend! 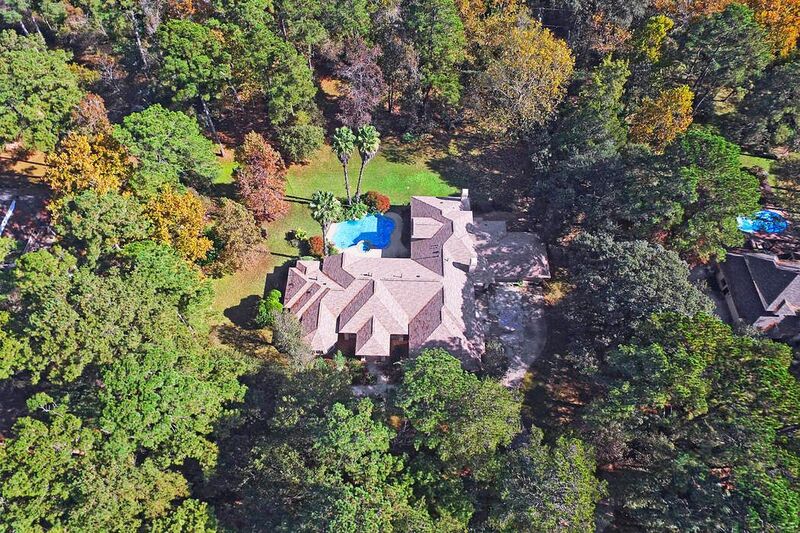 Beautiful 15,682 Square foot interior lot with beautiful trees. Current home did flood during Harvey. Living Room-18x15, Large space to accomodate sofa and chairs. 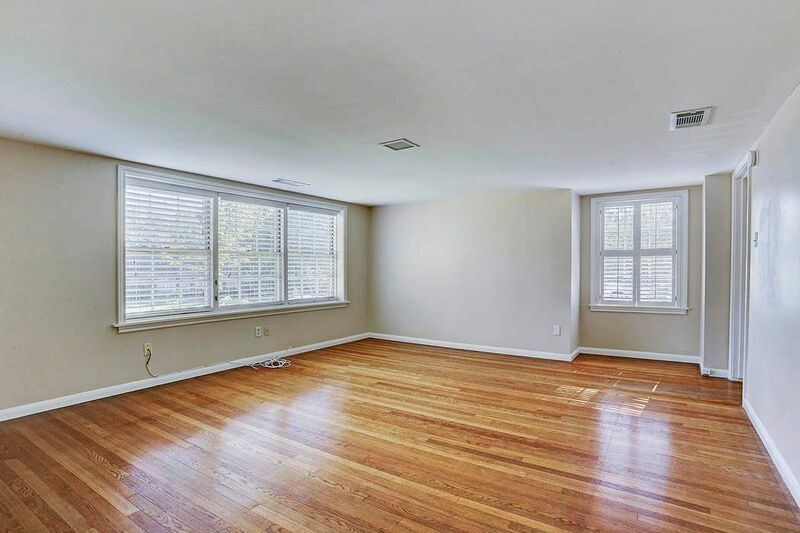 Bay window captures garden views of this lovely Riverbend property. Dining Room-15x13 Spacious room with floor to ceiling windows for abundant natural light. 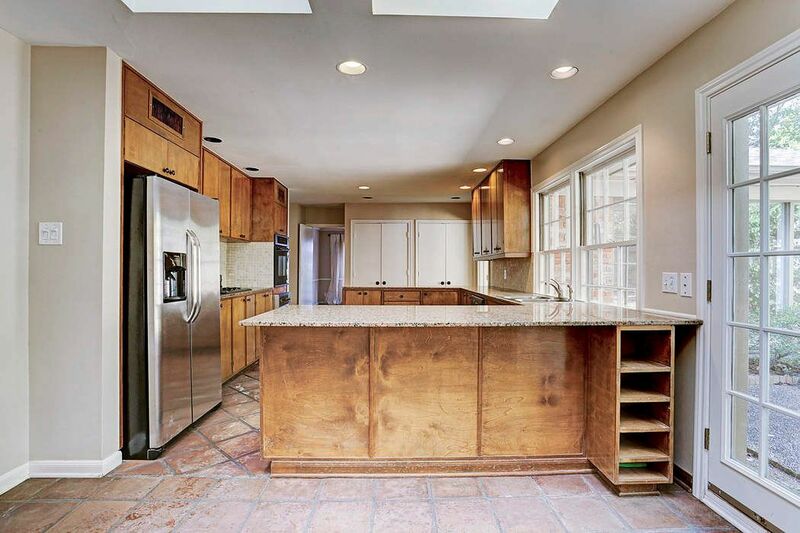 Kitchen-The kitchen is topped with granite counter tops and is open to the breakfast room with easy access to the family room and dining room. 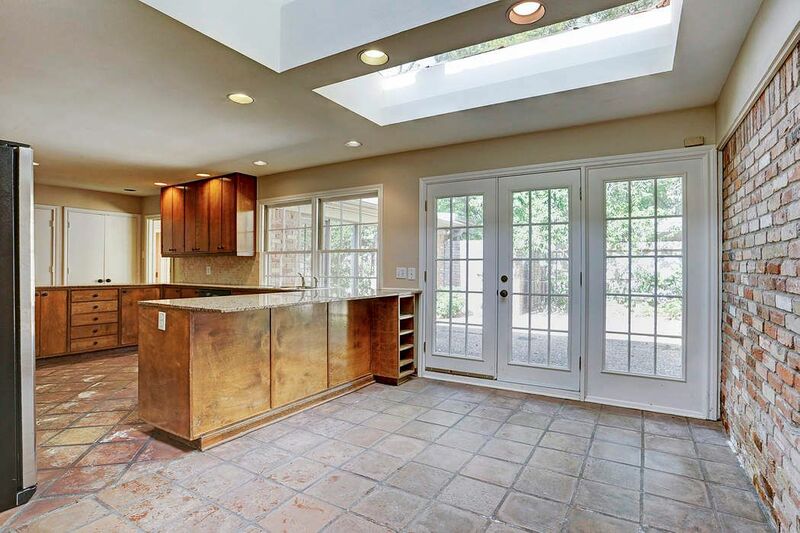 Breakfast Room-The breakfast room has French doors to the patio and backyard. 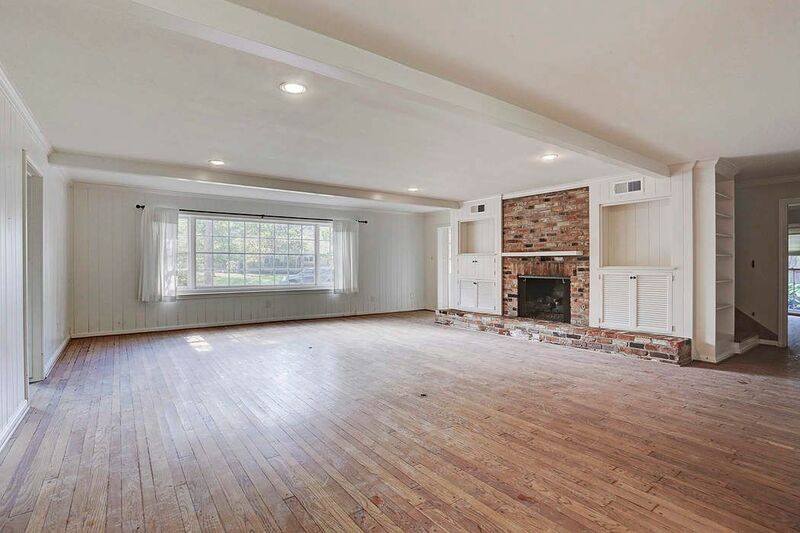 Den-24x19, The family room is front and center in this charming 1950's home. The large space can accommodate a wide array of activities and sitting arrangements. Den-Another view of the family room showing views into the breakfast room and kitchen with the entry hall to the left. Master Bedroom-16x13-The downstairs master bedroom has beautiful backyard views and enjoys an ensuite master bathroom. 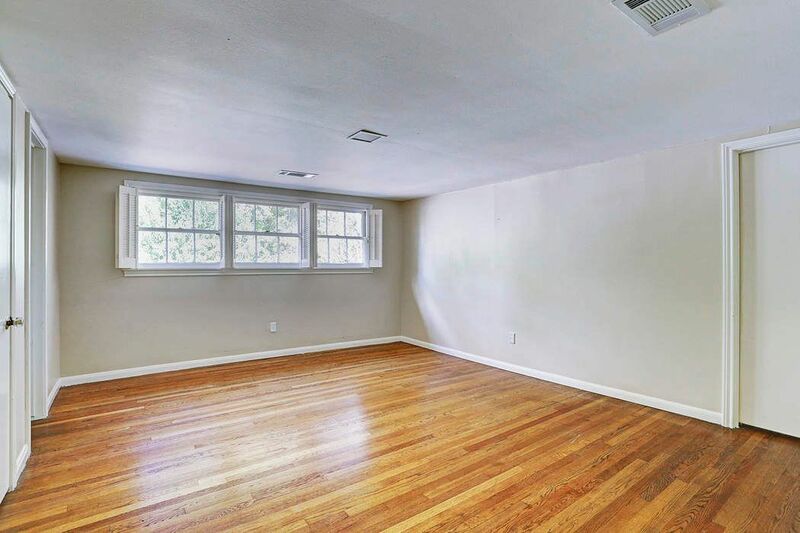 Another Secondary Upstairs Bedroom with Hardwood Floors. Secondary Upstairs Bedroom with Carpet. 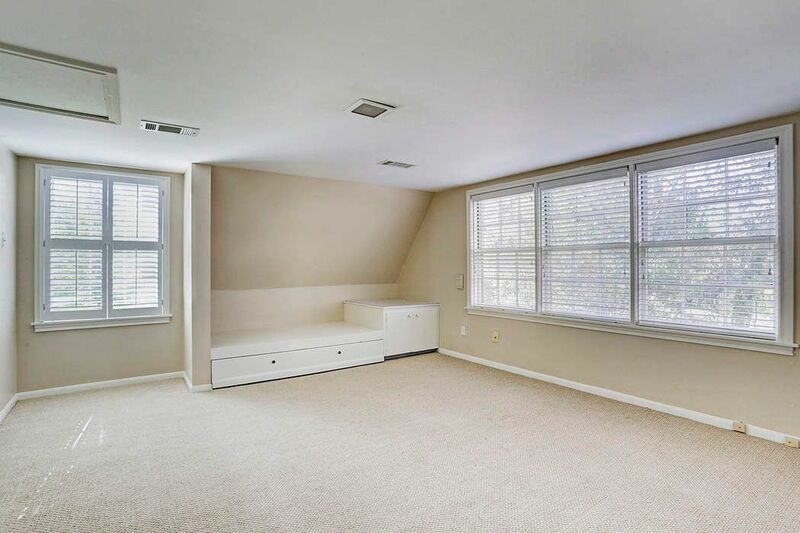 Secondary Upstairs Bedroom with hardwood floors. Game Room-21x16-Wow! 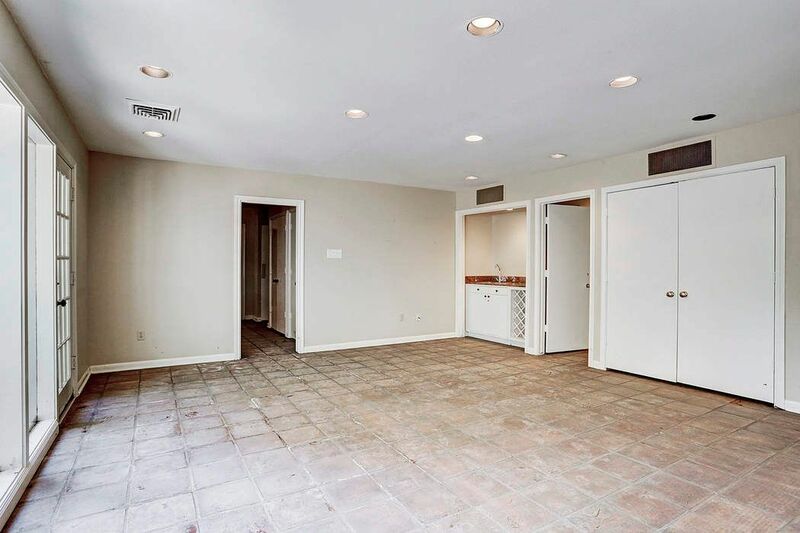 Wonderful first floor game room with wet bar! 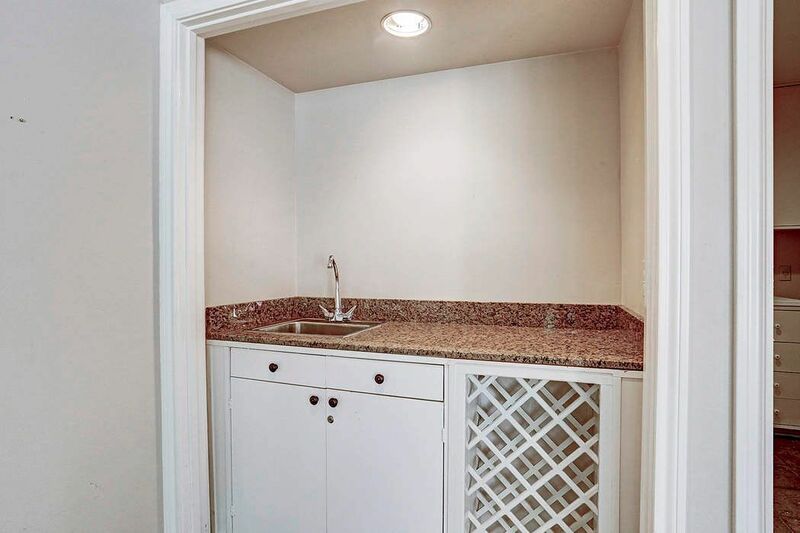 The granite topped wet bar with wine storage rack. 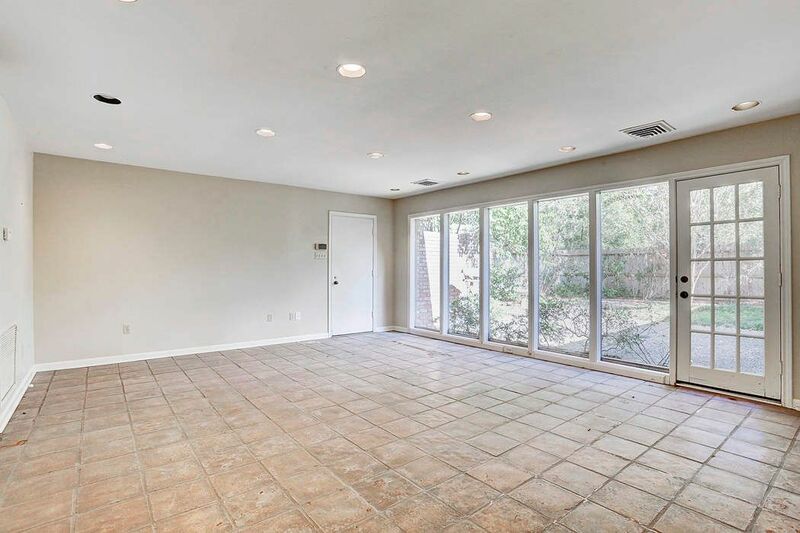 Game Room-Another view of this large space showing the wet bar. 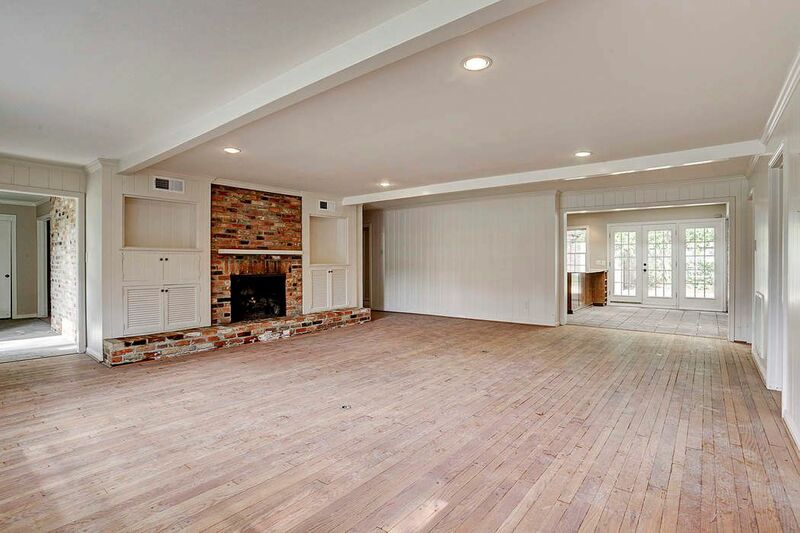 The current 1 1/2 story home is 3,856 square feet and is full of vintage charm. 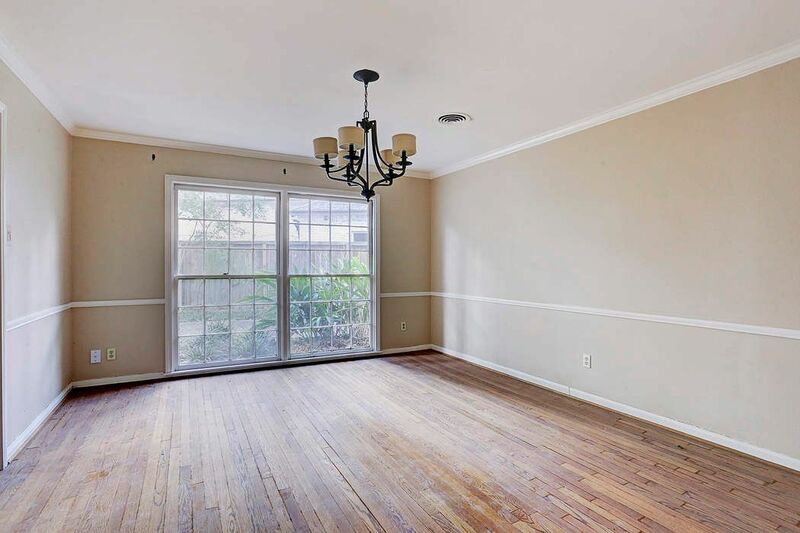 The home has four bedrooms and 3.1 baths and a 2 car garage and sits stately in the middle of this sought after neighborhood. 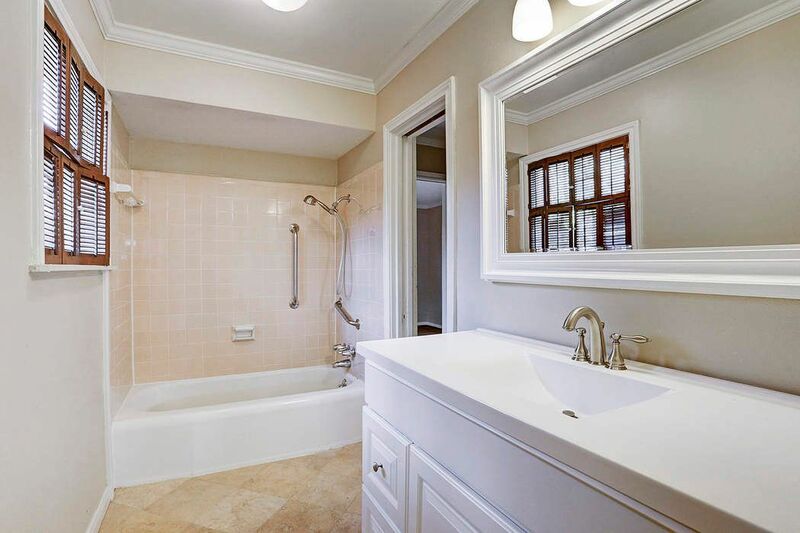 $995,000 4 Bedrooms3 Full / 1 Partial Baths3,856 sq. ft. Wonderful opportunity to build your dream home in sought after River Bend in Hunters Creek Village. 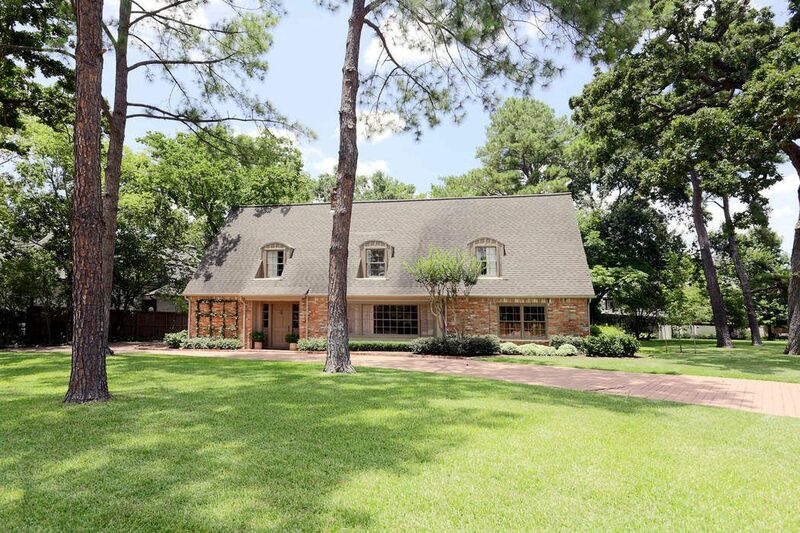 A prime location to build or to remodel this ranch-style home. 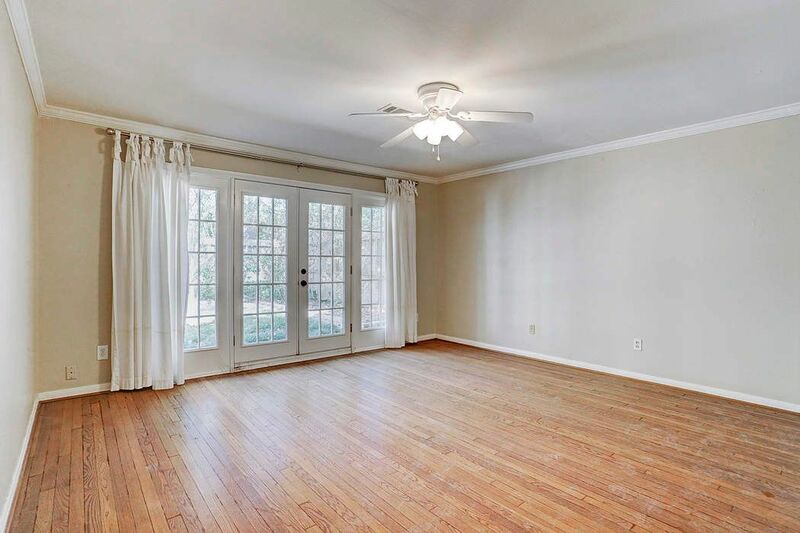 Spacious 4/3.5 home with formals, living areas and spacious game room off of the kitchen with granite countertops. Hardwood floors. First floor master suite. All secondary bedrooms up. Nice circular driveway with a wonderful presence in the neighborhood. 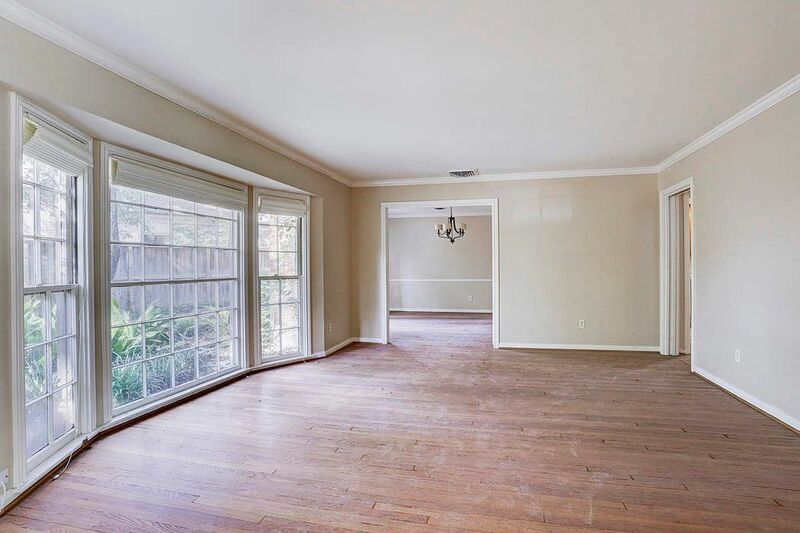 This home did flood during Harvey and will be sold "as-is".